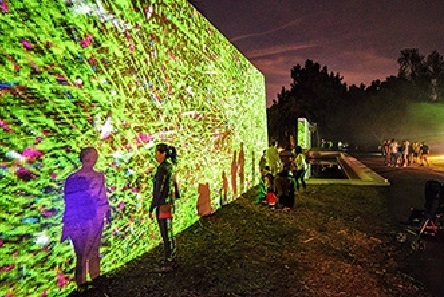 Experience amazing video and sound installations at Digital Nature 2019, a contemporary art exhibit viewed outdoors in the evening at the Los Angeles Arboretum. Contemporary artists will project their work onto the lush garden landscape. Inspired by the natural world and technology, the artists will explore themes as diverse as butterfly camouflage, bird songs and heavy metal, and inter-active digital wildflowers. Some are interactive, some with sound or live performances, others silent.